I love smoked salmon and just had it with poached eggs at Maison Kayser last weekend. It gave me an idea to make something similar at home. 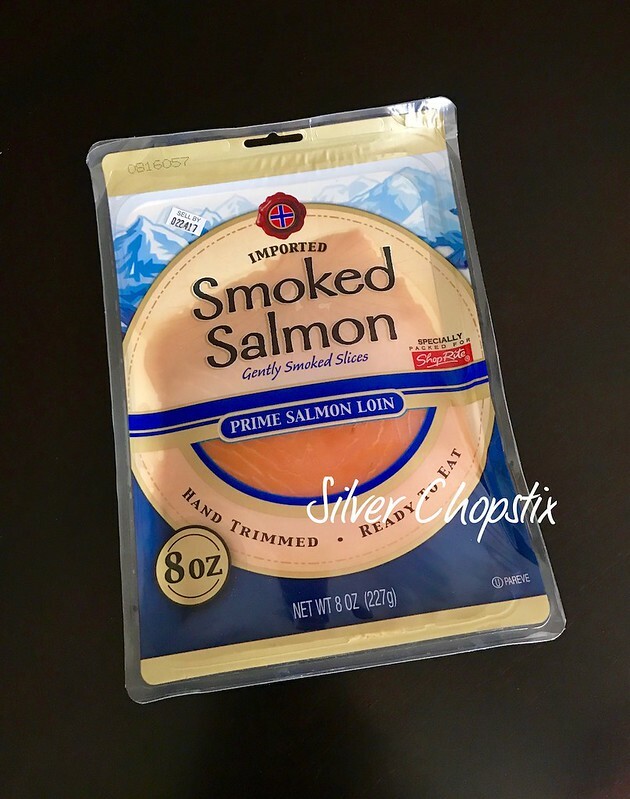 The first thing I did was look for a good quality smoked salmon that is not too expensive. I found one at my local Shoprite. 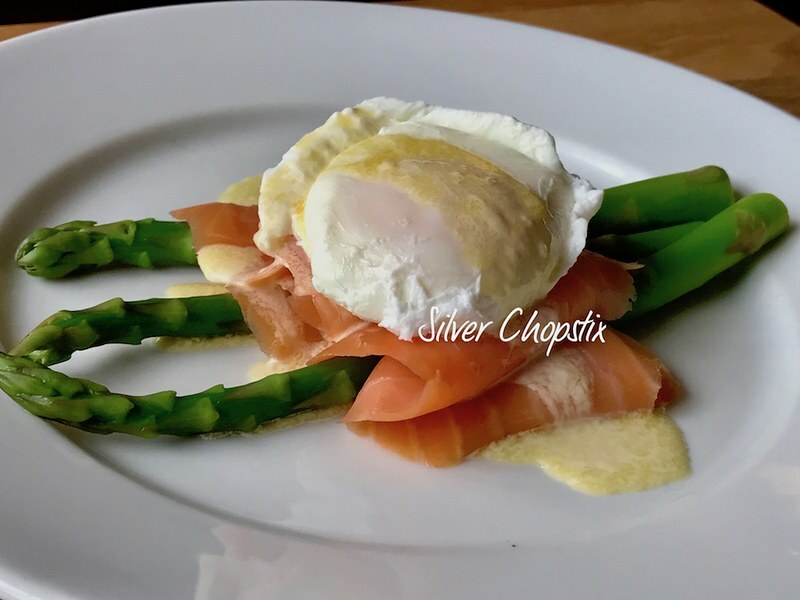 First, poached an egg and set aside. Then cook several asparagus spears until tender (you can either boil or steam it). Immediately submerged it in ice cold water then pat dry and arrange on a plate. Prepare your sauce by adding equal portions of the following in a bowl – olive oil, mayonnaise, and sushi vinegar and stir until everything is well combined. 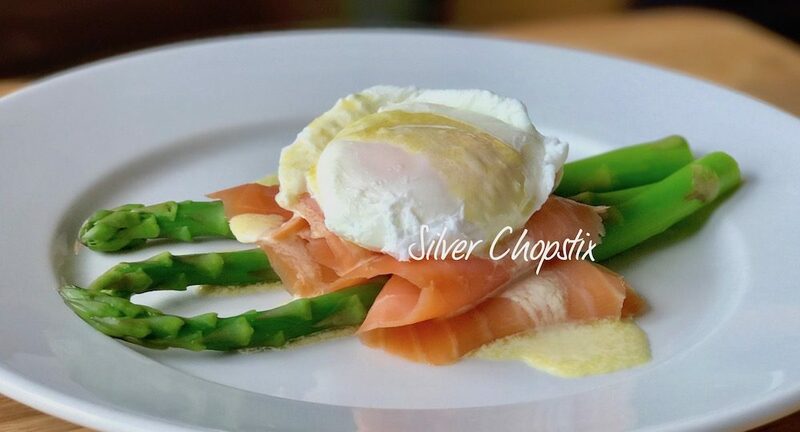 Lay some thinly sliced smoked salmon pieces on your asparagus, then top it with your poached egg. Pour some sauce over your eggs and serve warm. 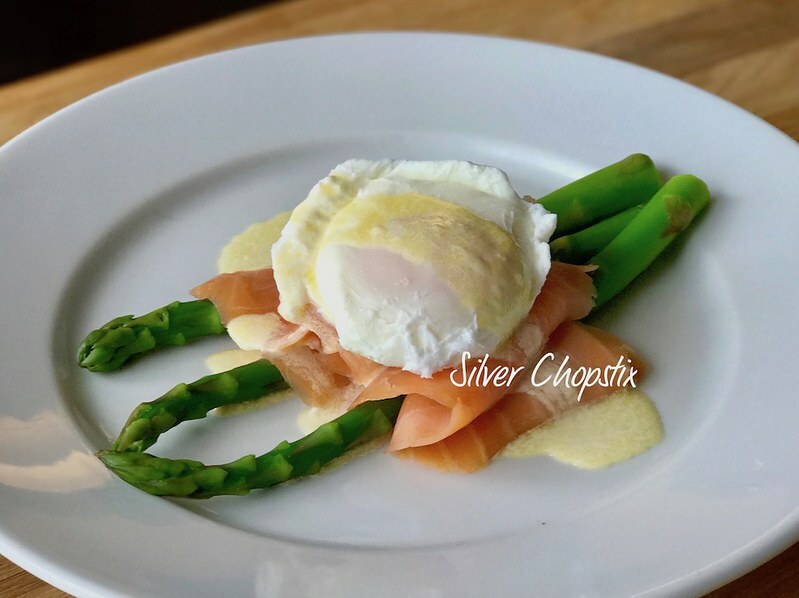 You can serve this with some salad greens and toast for a hearty brunch or lunch.